Dr. Vrabec, a native of Wisconsin, graduated with honors (AOA) from the University of Wisconsin Medical School, where he also completed his residency training in Ophthalmology. A fellow of the American College of Surgeons, he is certified by the American Board of Eye Surgery. Dr. Vrabec completed fellowships in corneal transplantation at the University of Iowa and another fellowship in refractive surgery at the Hunkeler Eye Center in Kansas City, MO. 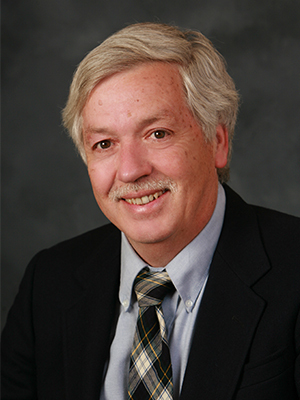 For six years he directed the corneal transplant and refractive surgery service at the University of Vermont, earning tenure in 1994. In the Fox Valley since that time, he maintains an active practice in small incision, no stitch, no shot High Definition Laser Cataract Surgery (including Lifestyle and Toric IOLs), refractive surgery (including ICL and PRK), corneal transplantation (PK, DSAEK, and DMEK) and other types of laser surgery. He has performed over 30,000 refractive procedures, nearly 50,000 cataract surgeries, and is the only double board certified surgeon in Wisconsin (in both LASIK and cataract surgery) by the American Board of Eye Surgeons. He was the first doctor in Wisconsin to perform iLASIK, High Definition Laser Cataract Surgery™, INTACS, ECP laser treatment, the Verisyse Implantable Contact Lens, and the Fugo Blade. He also performed the first laser-assisted cornea transplant in Wisconsin and was the first surgeon in the state to be included in an FDA Study on Corneal Collagen Crosslinking (a treatment for keratoconus), demonstrating his commitment to bringing patients the best eye technology the world has to offer. Dr. Vrabec has authored over 50 professional journal articles and two textbooks and belongs to numerous professional societies. He has lectured and taught extensively on medical and surgical aspects of eye care to doctors in five continents and 30 countries around the world. He received the American Academy of Ophthalmology Honor Award in 1997, and was awarded the Distinguished Alumnus Award by the University of Wisconsin-Madison in 2010. Dr. Salm is certified by the American Board of Ophthalmology and is a native of the Fox Valley area. He was valedictorian at Appleton North High School, and graduated with honors from the University of Wisconsin-Madison where he also finished his medical school training. He began his residency in Grand Rapids, MI where he did a rotating internship. From there, he spent three years in Chicago, IL where he finished his prestigious ophthalmology residency at Loyola University, gaining exposure to all areas of medical and surgical eye care. Dr. Salm has particular interests in diabetic eye disease, macular degeneration, cataract surgery and glaucoma. His training included Avastin and Lucentis treatment for macular degeneration as well as a high volume of cataract surgeries. Dr. Salm is excited to be back in the Fox Valley and practice alongside a group of doctors that have shown their commitment to providing the highest quality eye care possible. Dr. Unger is a Phi Beta Kappa graduate of San Francisco State University and Alpha Omega Alpha graduate of Loma Linda University School of Medicine in Southern California. During her medical school studies, she was a mentor to newer students, providing tutoring services in both physiology and statistics. A California native, she moved to Wisconsin in 2003 to continue her medical and surgical training in ophthalmology at the Eye Institute (MCW) in Milwaukee. 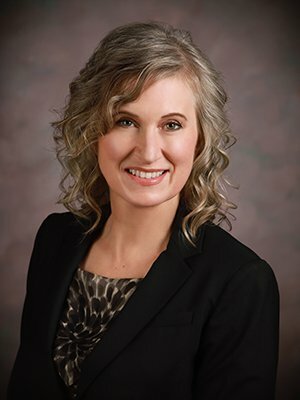 After completing her ophthalmology residency in 2007 and becoming Board Certified by the American Board of Ophthalmology (ABO), Dr. Unger has continued to practice in Wisconsin, joining Valley Eye Associates in 2015. Her experience includes medical, surgical, and laser techniques for the treatment of glaucoma, diabetic eye disease, macular degeneration, cataracts, and a host of other comprehensive ophthalmology conditions. In addition to private practice, she served as Staff Physician at the VA Zablocki Medical Center in Milwaukee, gaining valuable experience working with our nation’s veterans. Dr. Unger is pleased to have relocated to Appleton and is proud to have joined a group of doctors committed to providing superior eye care to civilians and veterans in the Fox Valley. Dr. Hall, a native of Indiana, graduated from Indiana School of Medicine. He completed his internship at James Whitcomb Riley Children’s Hospital in Indianapolis and his residency in Ophthalmology at Indiana University Hospitals. He is a fellow of the American Academy of Ophthalmology and is certified by the American Board of Ophthalmology. 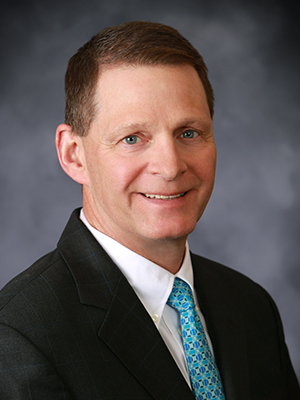 Dr. Hall has practiced in Appleton since 1979, having performed numerous general ophthalmology surgical procedures including cataract, strabismus and retinal laser surgery. Since 2000, Dr. Hall has limited his practice to Medical Ophthalmology, with concentration on Glaucoma and Diabetic Eye Care as well as providing comprehensive medical ophthalmic care for acute and chronic conditions such as treatment of foreign bodies, red eye, and dry eye syndrome.